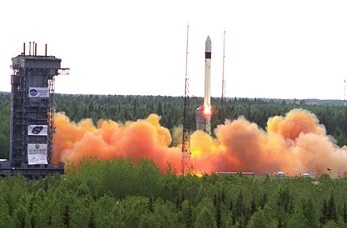 A Russian Rokot launch vehicle with a Briz-KM Upper Stage has successfully launched from the Plesetsk space center in northern Russia, carrying three Rodnik satellites. Launch took place at 00:31 UTC (04:31 Moscow time) on Wednesday, the first of potentially two launches from Plesetsk in the space of 12 hours. The Rokot’s latest mission was military by nature, as such little is known about the payloads. However, the Rodnik satellites are believed to be a version of the Gonets-M spacecraft. The Gonets-M satellites – according to the Russian Space Agency – are intended to provide digital user terminal GLONASS positioning data, as well as electronic mail services. However, this is understood to be inaccurate, with Gonets-M having no role in the GLONASS operation. The Gonets-M satellites are upgraded versions of the Gonets satellites, a derivative of the military Strela-3 satellite system. Rodnik satellites are believed to be the military version of the spacecraft family. 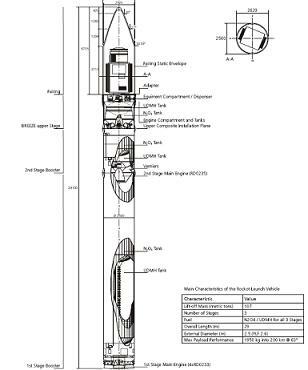 The launch from Plesetsk was the first of what may be two launches within 12 hours, as Russia prepares for the debut launch of their Soyuz-2-1v rocket at 12:30 UTC on Christmas Day. Another launch is expected on December 26, when a Russian Proton-M is scheduled to loft the Ekspress-AM5 satellite from the Baikonur Cosmodrome. Images via Eurorockot and L2.